Taylor Jones is a software chef at IZEA. Docker is an incredibly popular tool for virtualizing development and production environments. Its value lies in the idea that it creates portable, scalable environments that anyone can scaffold within minutes. However, a consequence of virtualizing environments is that we have to take a different approach to testing them. Today, we’ll look into dockerizing Ruby applications and how to test them. How do we effectively test Docker applications? This can be a loaded question. Its answer lies within a slightly different way of approaching testing. However, I believe Docker provides a variety of simple but powerful features that we can leverage to test any kind of application from both a current and historical point of view. I’d like to demonstrate these features from the perspective of a Dockerized Ruby on Rails application. Docker’s virtualization design has a bit of a weird learning curve to it. The gist of it involves taking something that seems physical (a bundled and working application) and abstracting it into a new kind of reality. Docker likes to refer to this newer reality as a container. What’s most interesting about this reality is that a container also can be composed of other smaller containers. Our database and other services, will also exist in different containers. Now, let’s implement our plan. Pull from a pre-built container on Docker Hub. In our case, this Ruby container is built using Ubuntu. Because we pulled in a prebuilt Ubuntu container, we’ll install a few more Ubuntu packages that are required for running Rails. Create a directory in the virtualized container to mount the application on. Add the Gemfile and Gemfile.lock of your existing application. Run bundle install inside of your Docker container. We can now build this container by running: docker build .. It might take a few minutes (depending on your internet connection). When the process successfully completes, you’ll have created a virtualized Docker environment containing your Rails application. Next, we’ll move on to what will connect our application container to the rest of our ecosystem. This file is known as docker-compose.yml. We’re declaring use of version 2 of Docker Compose’s file format. We want a file that’s relevant to the design decisions and formatting that is currently the standard. Read more on the file format here. 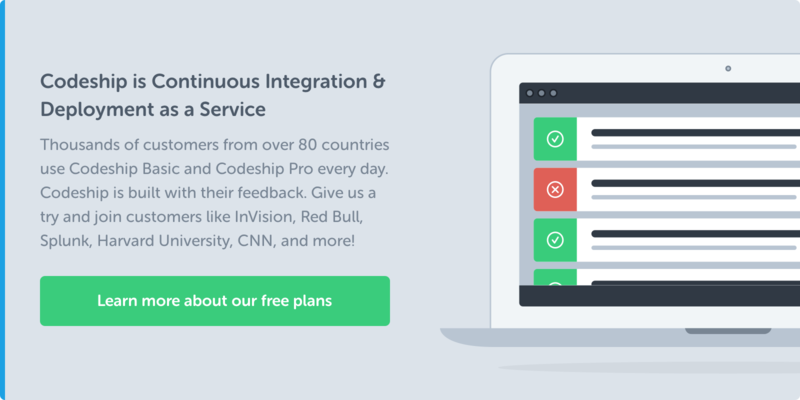 We’re defining two services: db and web. db is made up of a prebuilt postgres image that contains an instance of PostgreSQL. web is created by building our Dockerfile, configuring a command for docker-compose up, mounting the application to our big container, exposing ports for the app, and declaring a dependence on the db container. When all of this is said and done, we will be able to run docker-compose up, and our whole application should be up and running (accessible under http://localhost:3000). Now that our app is Dockerized, we can start figuring out how to interact with its newly virtualized context. The first thing that’s different about our interactions is how we run basic command line commands against the Docker container. You’ll now need to run docker-compose run web before any commands that you want to execute against the app container. This means that something like: rails g model user now becomes docker-compose run web rails g model user. The distinction is very important as we want to run the Rails commands against our Docker container, not our local environment. # Using Rspec? Run this. # Using Minitest? Run this. To help save our wrists from having to type a few more words every time, we can add an alias to our local environment. For me, I prefer creating the aliases docker-mini or docker-spec, depending on the testing framework I’m using. Simply put, apps change over time. That’s no secret. If you think about smaller dependency changes, you can start to imagine how bugs could be introduced by doing something as simple as upgrading your database or Ruby version. To better track down errors and test the viability of our applications in certain environments, we can modify our Docker environments to simulate a previous iteration our application (one that runs Ruby 1.9.3). In this iteration, we’ve made the build section a bit more robust. We’re still building within the same context, but we’re specifying which Docker file we want to use for things. This Dockerfile-193 is different from our original Dockerfile in two different ways. One is the FROM source. We’re simply using a prebuilt Docker image that contains Ruby 1.9.3. The other change is the removal of adding the Gemfile.lock. The reason for this is that we’re going to have to regenerate our Gemfile.lock against Ruby 1.9.3. This, however, might get a little messy. If you’ve got a historical Gemfile on hand, you’re probably good for most of this step. However, if you’re not as well prepared, we’re going to have to go through some raw trial and error to configure things. The best dependency to change first is Rails. Since we’re trying to configure our application against Ruby 1.9.3, you’ll have to use Rails versions 4.0 and below. Choose the version of Rails that you want to try rebuilding the container against. From here, it will be trial and error in seeing what dependencies throw install errors. It’d be useful to have RubyGems pulled up to check which versions are ideal for a specific gem and language version. After this messy process is completed, you’ll have a proper Gemfile for a legacy configuration of your app. I recommend that you rename it Gemfile-193 and put it within your app under /gemfiles/. We can even leverage Docker to look for this folder in custom configurations. Now that we finally have a historical formula for a Ruby 1.9.3 version of our application, we can utilize the same process for testing the container as before. We’ll then be able to easily test and track down historical configuration issues in our application. A lot of new code and concepts have been thrown at you during this article. Let them sit and simmer with you for a bit. There’s a good deal of trial and error involved with learning this process. Once we work out the kinks in downgrading dependencies, Docker will have granted us a means to travel back in time to historical configurations with ease. With this, we’ll be able to run our test suite against different versions of the application. As our application grows, we can repeat this process and enable easiest historical testing as we grow. We can use this history to find out how backwards-compatible a project might be. It also might be useful for being able to track down historical bugs in the application that could have been caused by configuration changes, a much-needed relief for the DevOps process. Either way, you now know how to leverage Docker for your personal and team needs. PS: Interested in testing and deploying your dockerized Ruby applications? 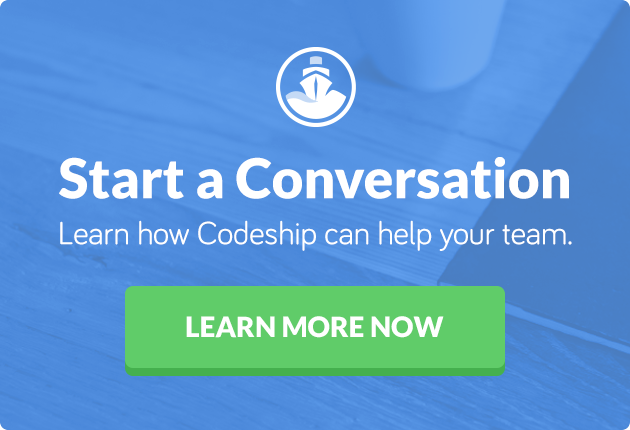 Consider giving Codeship Pro a try. You can get started with the free account that grants 100 builds per month for unlimited private and public projects.